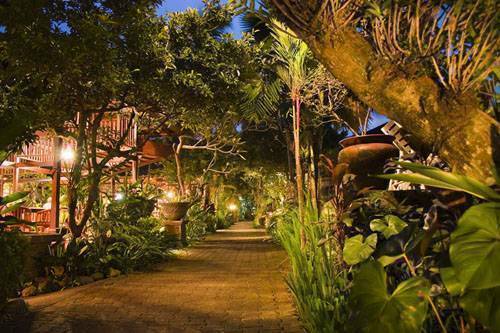 The essence of Balinese culture is found in the exquisite rice paddies village of Mas-Ubud. 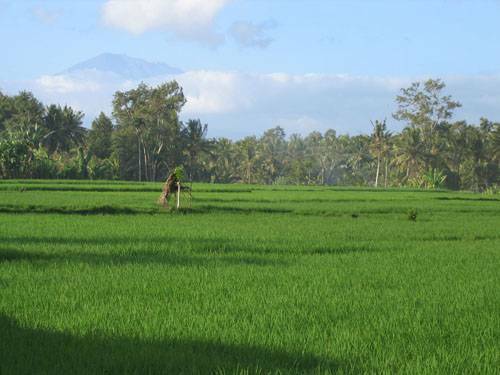 Overlooking the rice fields and mount Agung in the distance stands the fragrant garden Taman Harum Cottages. It's attached to a woodcarving gallery and is owned and manage by the family of IB. Tantra (the root carving master). In the cool and breezy of the rice field, 17 traditional rooms and villas are spread across the side of rice fields and tropical garden. 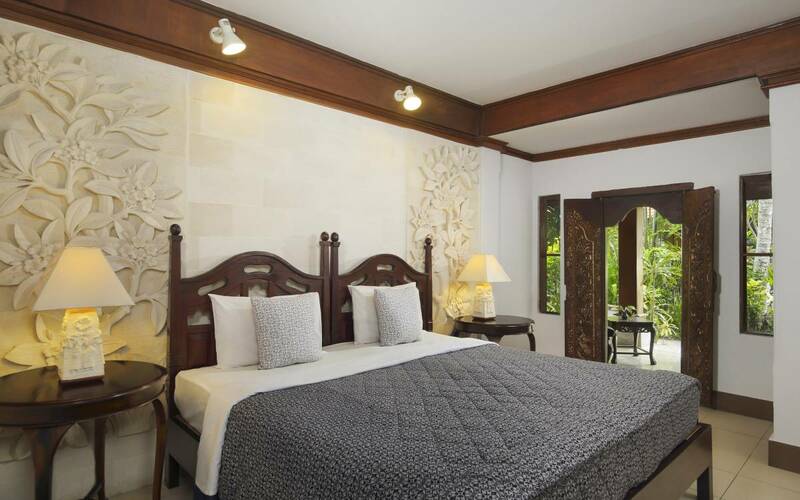 In each, the Balinese architecture, décor, fine painting is of hotel standard while all the modern conveniences expected by the discerning international travelers are here. All are air-conditioned and have exotic garden bathrooms. The hotels main pool has a view of the rice paddies. This hideaway on the outskirts of town behind an art gallery and woodcarving center is not only a great value but a truly unique experience where guests get traditional cooking, dance, woodcarving and batik-making lessons, as well as guided walks in the rice paddies. The hotel has its own woodcarving studio and workshop on site and simply watching their craftsmen at work is free. 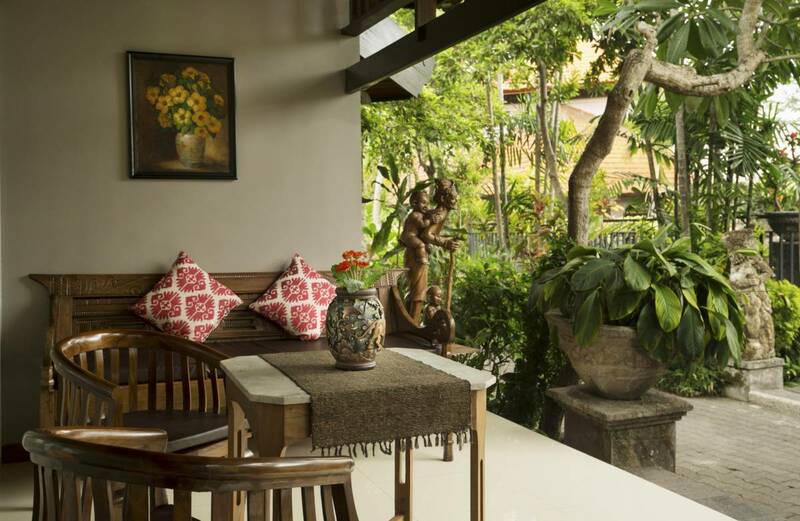 Located just south of Ubud in Mas, a village famous for its wood carvers, mask makers, Antique and furniture. Surrounded by lush green rice paddies all the way to the sacred Mount Agung and embodies the quiet serenity and expert craftsmanship of this important Balinese village. Less than 10 minutes drive from Ubud town, 45 minutes drive from Denpasar airport and 20 minutes drives from your choices of quality black & white sand beaches. 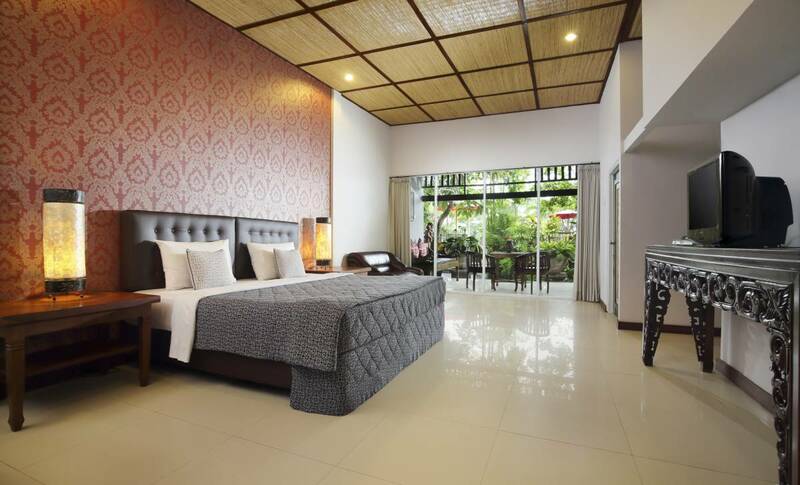 With the hotel's complimentary shuttle service to Ubud town , why stay in a packed hotel district where you can "immerse" yourself in the real & tranquil Bali at such an idyllic spot. 5 minutes drive to Batuan Village, painting and art gallery. 10 minutes drive to Celuk Village, Gold and Silver smith. 15 minutes drive to Batubulan Village , Stone carving and Barong dance. From Ngurah Rai International airport, take main road direction to Ubud on the map. You will pass the village of Batubulan, then Celuk Village, batuan. Before entering Mas, you will pass a Big Baby statue. From this statue drive north about 1 Km. You should meet a sign of Taman Harum on the street.